In the role as Clinical Research Coordinator you will be involved in the day-to-day management of our clinical studies, working closely with and supporting the Clinical Research Manager (CRM) with all the various parts from planning and executing to completion of a clinical study. Responsibilities involves, among other things, overseeing and working closely with the study monitor to manage the clinical sites. We would like the candidate to have at least five years of previous experience within clinical research and GCP from the pharma industry, preferably with monitoring experience. By being a part of our cutting-edge research, you will be making a tangible impact for patients as well as being part of the exciting journey Hansa Biopharma has embarked upon. The role will give you the opportunity of broadening your area of expertise and we would positively support your development to the role of CRM if this is part of your career plan and you demonstrate the potential. It is a temporary position during 12 months (due to maternity leave), full time and located in Lund. Coordinate and manage activities at sites, i.e. hospitals, Phase I units etc. This might require that you travel from time to time. We are looking for a candidate with at least a master's degree within the life sciences or a research nurse. We put great emphasis on you being well structured and thorough in your way of working. You enjoy communicating and collaborating with others and since you will be working with different projects in parallel, we also expect you to be flexible and open minded to changes in your day to day business. 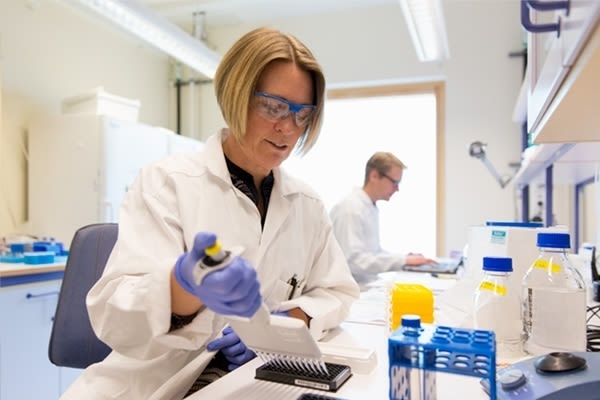 The atmosphere is open-minded and together with your team colleagues you strive to make further contributions to Hansa Biopharma´s field of research! If you find this position to be of interest, you are welcome to submit your application. We are looking forward to receive your application, you are needed!